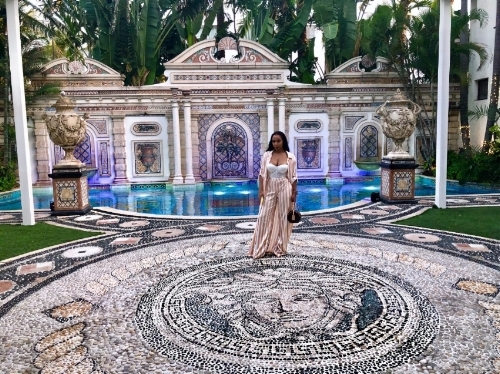 TRAVEL CHANNEL: DINNER AT THE VERSACE MANSION ANYONE? 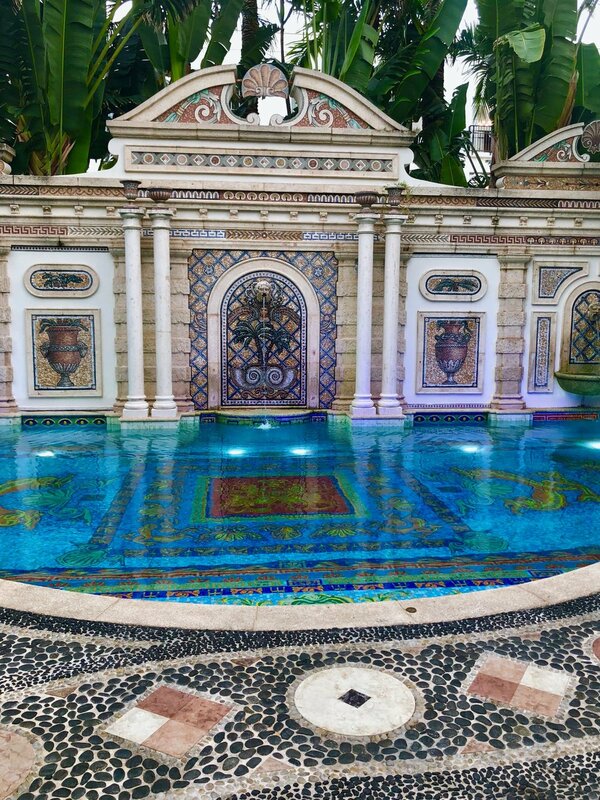 [REVIEW] — All Eyes on Jordy C.
Let me first start off by telling you all that I’ve wanted to visit The Villa Casa Casuarina, better known as the Versace Mansion for YEARS. Seriously, i’d been talking about going FOREVER lol but I just had never gotten around to going! With that said, I was determined to squeeze a visit on my most recent trip to Miami. You guysssss….seriously this place was INCREDIBLE. The interior design was absolutely breathtaking with intricate details everywhere. Everything felt so royal lol but because of all of the embellishments some may feel that the villa is over the top or gaudy…but to me, these details simply add character. 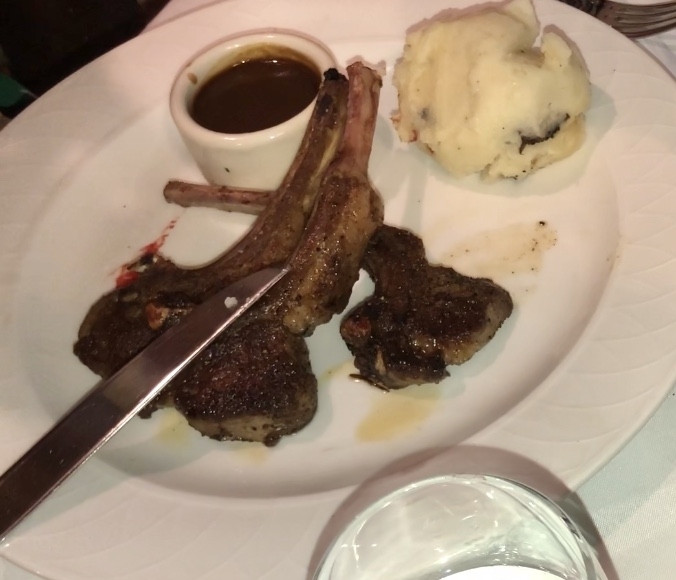 It truly felt as though I was having dinner at a royal palace in Italy! haha! Literally I have no words to describe the villas aura of wealth, decadence and romanticism. 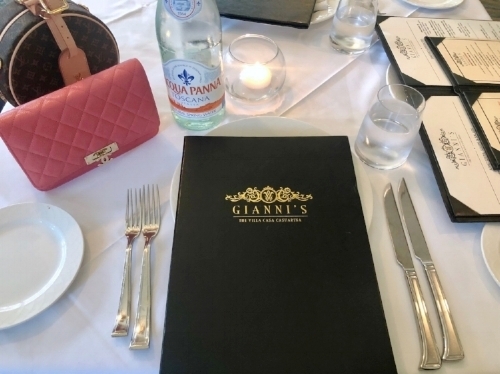 Overall I give Gianni’s atmosphere and decor a 10/10. The restaurant is well appointed, tidy and beautifully lit at nightfall. It is truly a restaurant for my romantics who love a gorgeous candlelit dinner! 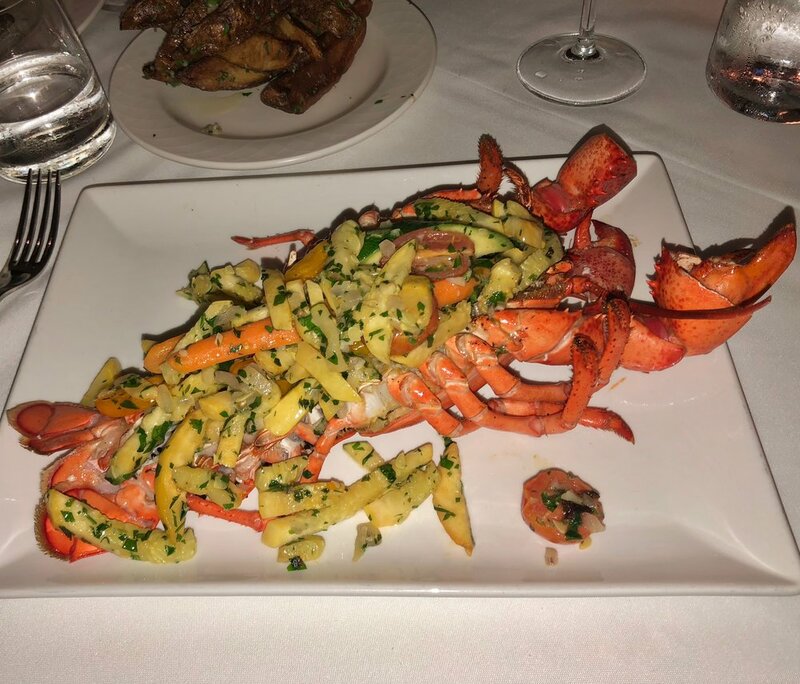 Prior to my dinner visit, I read several reviews online stating that the service is horrendous. I have to disagree with these claims. I won’t say the service was excellent but it was good- no complaints there. Earlier that afternoon, the restaurant called to confirm our reservation as well as to remind us about the strict dress code. I personally liked this policy. When we arrived the hostess asked us our preference, for dining inside or out-we chose outside. While everything was served efficiently and in a timely manner, we did have to request more water. Finally, we waited quite a while for our bill as well as the return o four credit card. This is somewhat expected as we dined on a Saturday night. All in all it was a great experience and I’m so happy I was able to finally visit! I highly recommend this restaurant as it is one you will never forget. Enjoy! As always, thanks for coming by and reading today! HEALTH & LIFESTYLE: MY FRUIT/VEGGIE CLEANING REGIMEN PART 1. AROUND MY HOME: BATHROOM RENOVATIONS!